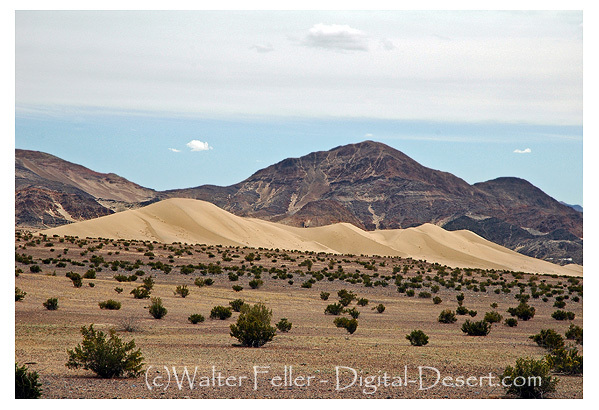 Visitors to Saratoga Springs may notice these dunes, but they are shielded from paved roads by rocky desert hills. Hike about one mile from the Saratoga Springs Road for access. An old talc mine at the base of the Saddle Peak Hills overlooks the dunes from the east. The Mojave fringe-toed lizard lives on these dunes.